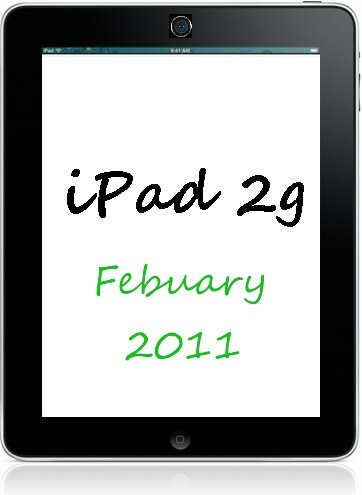 Rumor – iPad 2g is going to launch in February of Next Year? Refering to digitimes report, Apple has asked Foxconn plant to provide the first 400,000 to 600,000 units of the next version of iPad, within 100 days, if it proves true, iPad 2 would arrive on the market by the end of February 2011. According to sources in Digitimes , marketing of iPad 2 intended to start by the end of next January, just behind the Jobs keynote, but was postponed because of the firmware that is still in testing. In this case, therefore, it would be more like a delay due to a software problem rather than hardware. As predicted by other rumors reported by Digitimes, the new iPad should not deviate too much from current version, but will make some improvements, such as the face time camera for “face timing” with other iOS devices, lighter device, an improved display and a gyroscope. So, what do you think ipad 2g will improve?